Many dogs love to go for a ride in the car, but cats usually aren't as impressed. Whether they like it or not, it's sometimes necessary. Here are some tips on keeping your pets safe in the car. Keep pets out of the front seat. If something happens and an airbag deploys - even with your pet in a crate - it can cause injury. Don't let pets stick their head out the window. Sure, dogs love to stick their head out the window of a moving car, but debris and gravel can hit them and cause severe injury. Remember the tiny rock that made a big dent on your windshield? Imagine that hitting your dog's face. Never transport your pet on the bed of an open pickup truck. There is a lot of debate whether pet safety harnesses for cars work or not. There are dog restraints and seat belts that definitely keep your dog from roaming around and distracting the driver, but they haven't been proven to protect dogs in a crash. 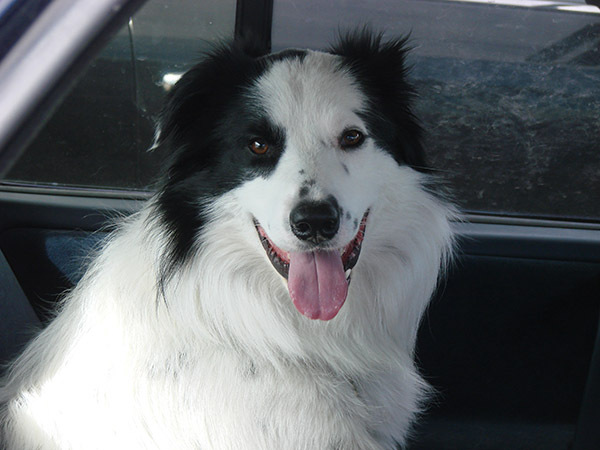 The safest way for your dog to travel is in a crate anchored by a seatbelt or similar. When it comes to cats, they should definitely travel in a carrier. Keep the carrier in the back seat and secure it with a seat belt. If you're going further than a spin around town, take plenty of rest stops, and if possible, bring a human buddy to keep an eye on your furry friend. That way you can run in to use a restroom or buy a snack without having to worry. There are many dangers involved with leaving pets in cars, such as temperature and the risk of theft. Every year, cats, dogs, and even children are stolen from cars, sometimes along with the vehicle. Speaking of temperature, even if it's just 72 F outside, the temperature inside your car can reach over 110 F in less than an hour. If it is 85 F outside, the temperature inside passes 100 F in less than 10 minutes. Most pets handle cold better than heat, but that can be dangerous too. We are always amazed at how most dogs are just loose and running around in cars, sticking heads out windows, just not good.